Agricultural Heritage Systems Tourism (AHST) has increased considerably in the past ten years and is projected to continue growing in the future. Despite such growth, there is not a shared understanding of many aspects of the tourism development framework for all kinds of agricultural heritage sites. Given that meanings and characteristics are critical to determining the appeal of a particular activity among tourism consumers and because the development directions of AHST are essential for achieving heritage conservation goals, a study was conducted in 2014–2015 to assess stakeholder preferences for definitional phrases and their perceptions. 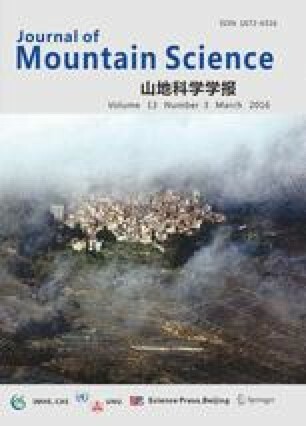 This manuscript summarizes the characteristics of AHST in four aspects, taking agricultural heritage systems in China as examples: 1) synthesis of agritourism, cultural heritage tourism, and ecotourism; 2) annual variation of tourism attractions and activities; 3) the dominant role of artisan farmers; 4) the unique gastronomic experiences of traditional food. Finally, there are some objectives offered by this research from economic, environmental, cultural, social and political perspectives to build a framework of AHST according to its features and characteristics. Based on environmental and cultural objectives, with political and social support, through reaching the core objectives of economic development, AHST will be sustainable and agricultural heritage systems will be well conserved. This study carries important implications for the further applications of AHST.